This is something OriOn and PrimeviL should have done back in 2007! I just had a renewed interest in changing around my Quake setup and tried the v_shot remix. 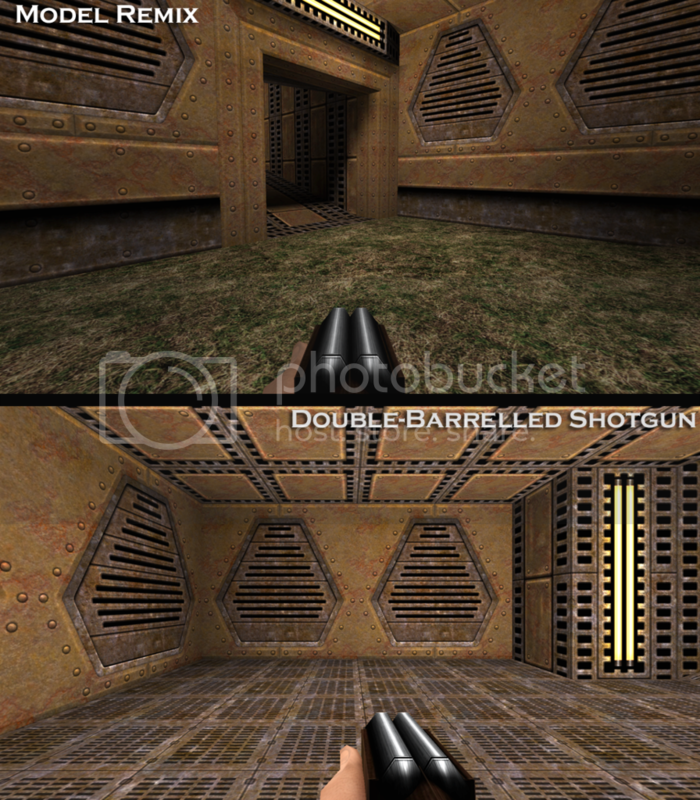 It inspired me to make a Double-Barrelled Shotgun version with the same arm model created by DOX! Unfortunately, I couldn't login to the GFX website to upload this, so uploaded it to Box for now. This zip file includes models with no muzzleflash, as well as right sided versions! It is intended to complement the following!